One of the requests I hear most from other artists is how to separate linework from a background when you scan a drawing into Photoshop. Obviously, if you work completely digitally, you can just draw your linework on a separate layer and you’re good to go. But if you work initially on paper, like I often do, then you can run into some problems. 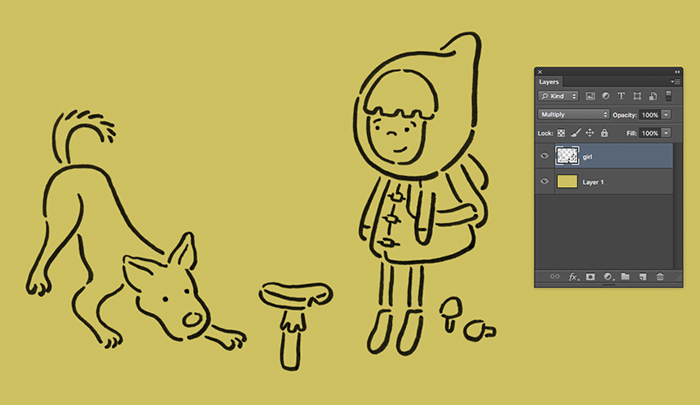 In this quick tutorial I’m going to show you my new and improved method for removing a background from your line art, using some of the artwork from my upcoming book, We Are Fungi! First, let me make a confession. For too long, I had been removing my backgrounds the lazy way: by setting my linework layer Blend Mode to Multiply. Maybe this is how you’ve been doing it, or maybe you’re already light years ahead of me on digital techniques. 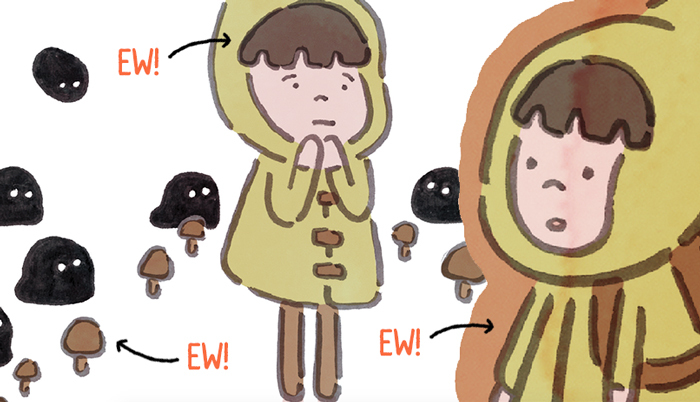 But while working on my book, We Are Fungi, that quick-fix method just wasn’t cutting it. It was causing all kinds of issues with background colors, transparency, and contrast. Because, as you can see above, setting the linework to Multiply doesn’t really get rid of the background. It just sets it to transparent. 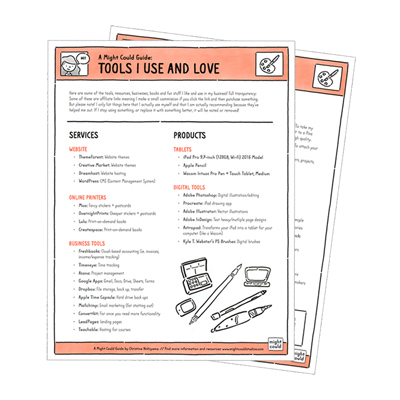 And for a book, with tons of layers, tons of pages, and a need for consistency… that sloppiness just won’t do. I needed a better way. I needed to actually remove the background. But I didn’t want to waste my time erasing the background or fooling around with tons of adjustments. I still wanted something fast. 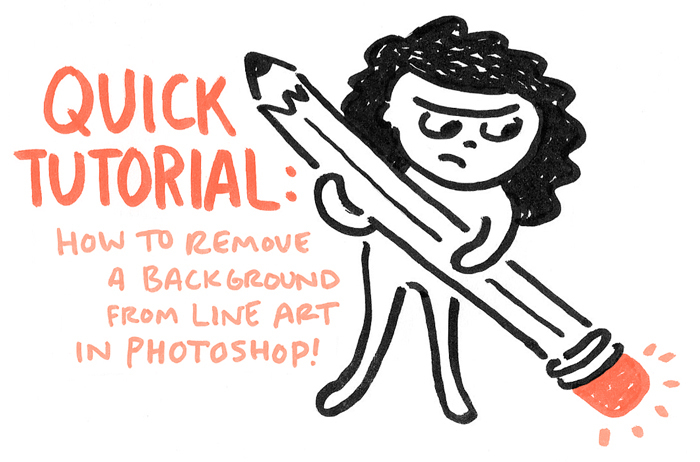 So now, let me show you the oh-so-better but still-pretty-quick way to remove your backgrounds. This method may look more complicated, but I promise it’s not at all once you do it a couple times. And it will save you loads of time and headaches down the road, trust me. To see this method in action, check out the video below! 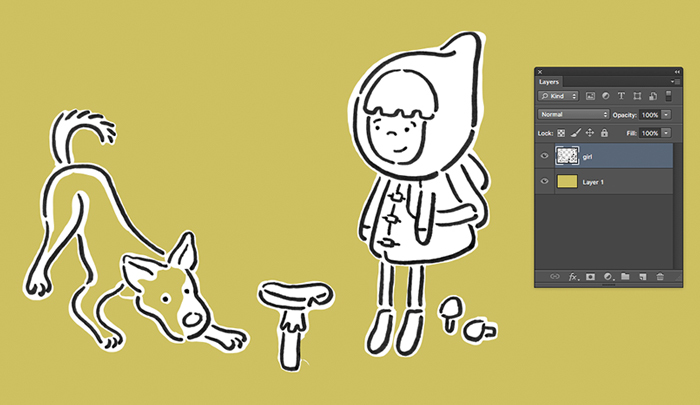 Now have can separate out your linework with just a few extra steps! I know 13 steps seems like a lot, but I did this with every page in my book, and after just a few times, I could do the entire method in 1 minute. That’s not quite as fast as just clicking Multiply, but c’mon, it’s 1 minute, and it gives you WAY more options and control! I hope you enjoyed this tutorial and thanks for reading! P.S. Don’t forget: I’m ordering the We Are Fungi proof this week, so if you’re a Might Could Beta Books member by midnight on Thursday, August 31, your name will be included in the back of the book! If you join later than that date, you’ll have to wait for the next book. Learn more and join here! So I tried this with some pencil art – that doesn’t quite work as well because there’s a lot of grey tones. Any tips?